Our mobile security cameras work anywhere there is a bit of sun and cellphone reception. They are best suited for monitoring open outdoor areas like yards, construction sites, farms, community spaces and nature where power and Wi-Fi are not available. High speed cellular connectivity with the provider of your choice. Use your own SIM card and data plan. The camera enclosure is built to withstand rain, wind or shine. It is fully waterproof and needs no further protection in temperate climates. 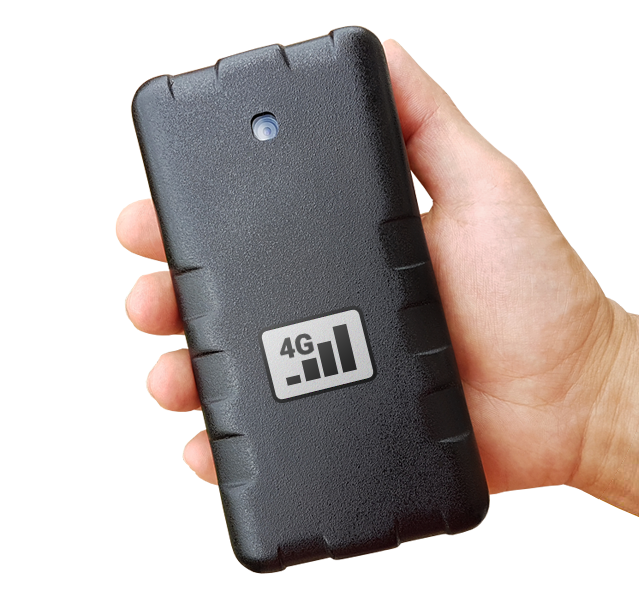 Connect via 2.4GHz or 5GHz Wi-Fi at home or the office to download large amounts of data from the camera storage. The battery pack consists of 6 standard Li-Ion batteries, giving you weeks of operation on a single charge. The 12 megapixel image sensor captures crisp full color images day or night. The resolution can be reduced to a thumbnail size to save on the bandwidth. A small flexible solar panel and a built-in MPPT solar charger were specifically designed to get as much energy from the solar panel as possible, even on a cloudy day. The camera can use a built-in image processor and external wireless sensors to detect various types of activity up to 100m away. A simple mount doesn’t require any special tools or skill to install the camera. Use 3 plastic cable ties to attach it to a post or a fence. The built-in motion sensor will immediately notify you if someone tries to tamper with or remove the camera and the built-in GPS unit will help you locate it. The camera can connect to multiple wireless sirens to keep its location hidden and move the source of sound closer to the action. 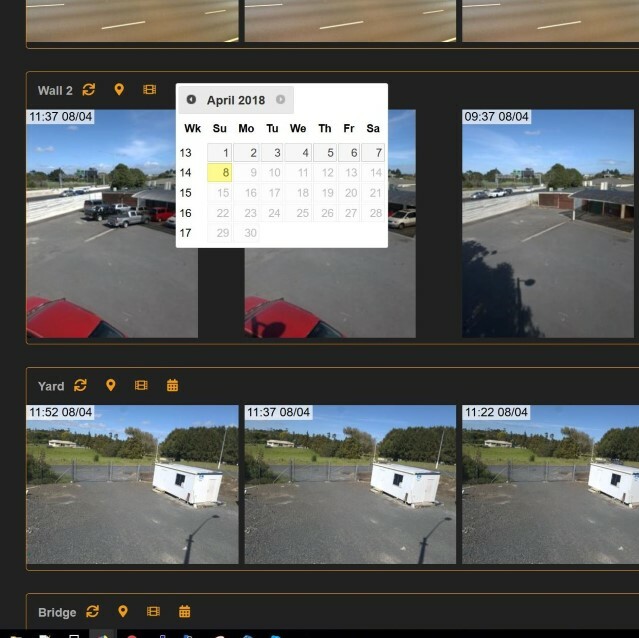 Capture images at set intervals or at pre-defined times of day to see them on a timeline or as a timelapse video. Get the current view on request straight to your phone, laptop or desktop computer. The camera can send you email alerts if activity is detected by the image sensor or external wireless sensors. The alert contains an image and the activation details. View your images and videos online in a web browser from any device. Images can be private, shared with others or even embedded into other websites. All data is automatically uploaded to cloud storage so you don’t miss any of it even if the camera goes offline later. The camera has 32GB of local storage for offline recording. The stored data can be downloaded via Wi-Fi at home, office or using a Wi-Fi hotspot on your smartphone. The camera is housed in a rugged plastic box with no buttons or controls. It can be managed online or via short SMS messages. Subscription customers get a fully managed service. The camera software is regularly updated over the air with new features and other improvements. We constantly monitor the state of the device and notify you of any problems.